Green Vegan and the tasty Minty Berry are only two of the five variants of Detoxify Bar's healthy juice bottles. You can get one for PhP220 and you must consume it in 24 hours. Home deliveries are available for minimum of 5 bottles per order. I just shared to friends that I am interested to try juice cleansing. Quite expectedly, I was asked if I was serious about it for I need to gain weight and not lose some. Blame it to this hungry-look obsessed generation, the common misconception by most of us in juice cleansing is that it's designed primarily for slimming. Juice cleansing, as the name suggests, is meant to clean the body by draining out toxins. Harmful substances which enters the body via cigarette smoking, alcoholic drinking, unhealthy food intake, the pollution among others, sometimes stay in the body despite our regular restroom breaks in the morning. We need a sort of sweeper to take all these toxins out and drinking natural fruit and vegetables juices can provide us with all the fiber that we need. Thus the need for me, and for everyone actually, to consider juice cleansing. However, those who want to lose some weight must not lose hope. When you control your food intake and replace it with juice, then this is where the slimming comes in. I might sound like an expert but thanks to Joy Torres, the pretty and healthy owner of Detoxify Bar who shared to us a few lessons about juice cleansing at the opening of her second store at Tuscany Estates in McKinley Hill, Taguig City last weekend, March 23. "The real purpose of a detox is to purge the body of unwanted toxins that could lead to degenerative diseases. Weight loss is just one of the great side-effects of detoxing," Torres said. Medical benefits of "juicing" are maintaining a healthy liver, a more efficient digestive system, cleansed colon and improved micronutrient absorption. These lead to clearer skin, stabilized blood pressure, improved memory and mental focus aside from weight loss. But I know, your attention is transfixed on the first and last benefits but juicing isn't really all for vanity. For the sporty, Detoxify Bar's juice drinks are also great on top of your regular meals. Joy shares how Basketball players and marathon runners consider the juice as their natural energy drinks. 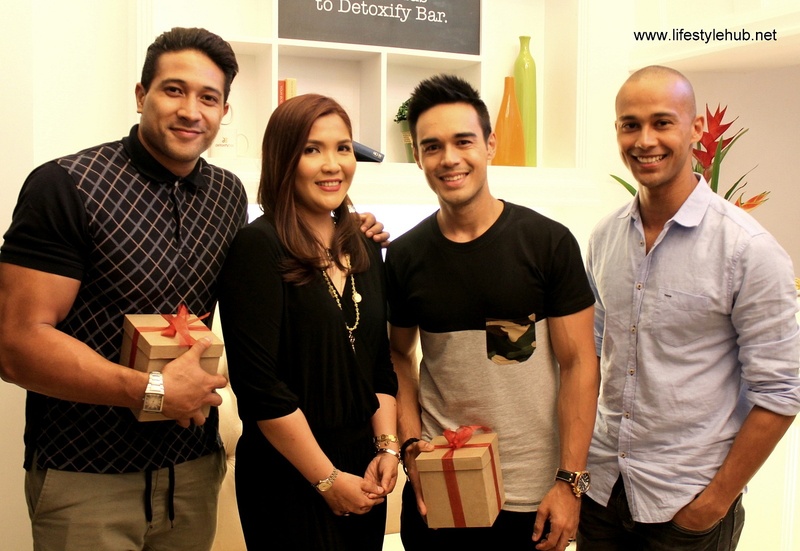 Celebrities gathered for the opening of Detoxify Bar in Taguig. 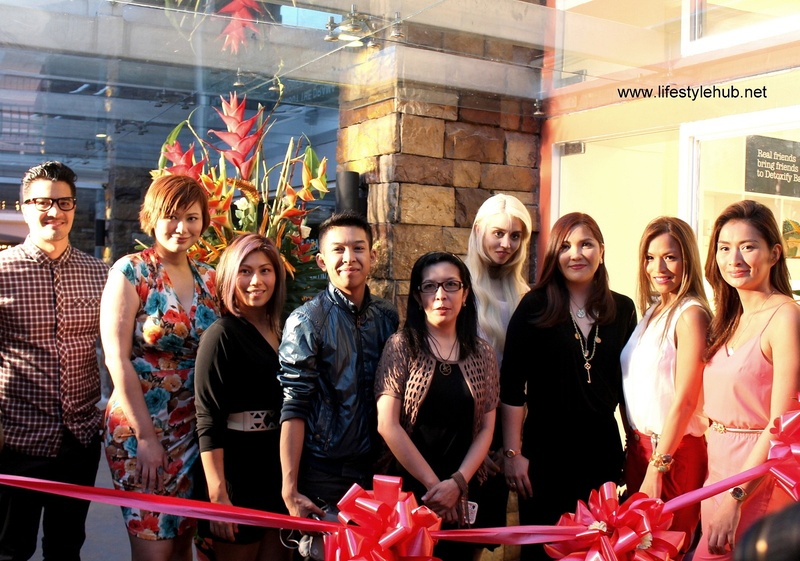 Left to right: Troy Montero, Francine Prieto, IC Mendoza, Dolly Ann Carvajal, Allison Harvard, owner Joy Torres, Aubrey Miles and Phoemela Baranda. 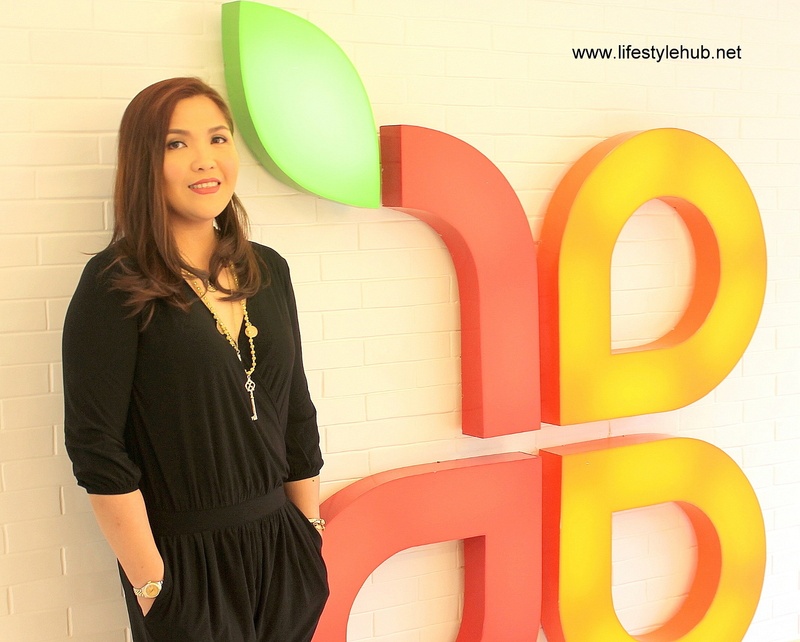 For owner Joy Torres, the secret of Detoxify Bar's success is choosing to be 100% organic. "Preservatives, though it extends shelf life and helps profit, forfeits the purpose of cleansing." Torres is a licensed chemist and she started making organic juice for herself and her family. She shared it to friends who were curious about her dieting secrets. In just a few months, celebrities were already abuzz about it, keeping IT girls Solenn Heussaff and Anne Curtis addicted to juice cleansing as seen on their social media accounts. You probably heard a lot of juice brands which are endorsed by your favorite celebrities in social media but Detoxify Bar is the first organic brand in the country. When I had my first Minty Berry drink last Sunday, I was surprised upon reading the instructions: "Must be consumed in 24 hours." The juice has no preservatives and it is maintained 100% organic, enough reason why you can forgive them for a short shelf life. Joy stressed that adding a certain percentage of preservatives, even how low the amount is, will defeat the purpose of cleansing. 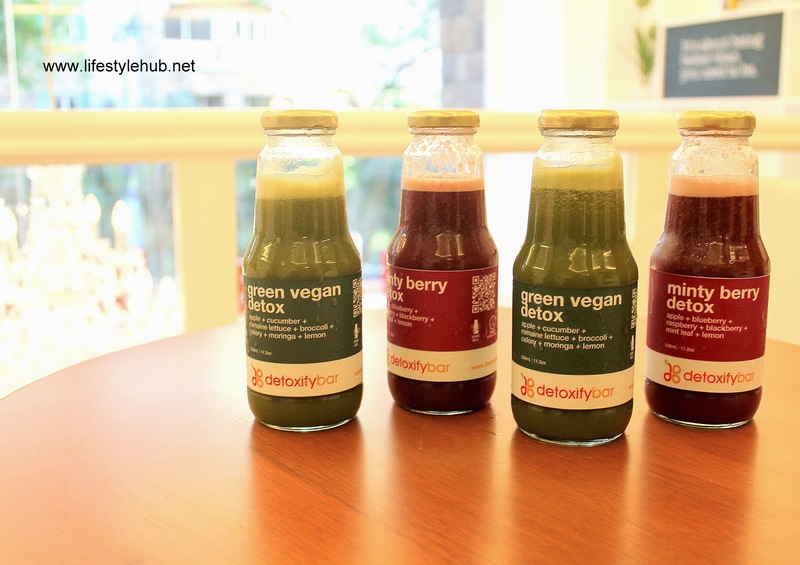 It doesn't mean though that you need to visit their stores in Eastwood or in McKinley Hill to get your daily juice fix, Detoxify Bar can deliver the packages to you door-to-door in a minimum of 5 bottles per order. Detoxify Bar introduced 5 variants of detox drinks: Red Vegan (designed for athletes and those with an active lifestyle who needs an extra boost in stamina and vigor during detox), Lemon Detox (cleanses the body and boosts your immune system, this drink often serves as a springboard to detoxifying), Minty Berry (the best tasting drink in town, this drink is meant to aid in concentration and effect sharper focus and clarity of mind which is best for those who wants to slow down ageing), Gold Detox (Loaded with protein and fiber, this drink cleanses your digestive tract while instantly boosting your immune system for detoxing), and Orange Detox (Used to help you combat fatigue and replenish depleted micronutrients which will keep you satiated and in top condition). A bottle costs PhP220. The number of bottles to consume in a given day depends on your health goals. It would be safe to consult your nutritionists for specific steps like replacing solid food with the juice or just drinking the juice on top of your regular meal. 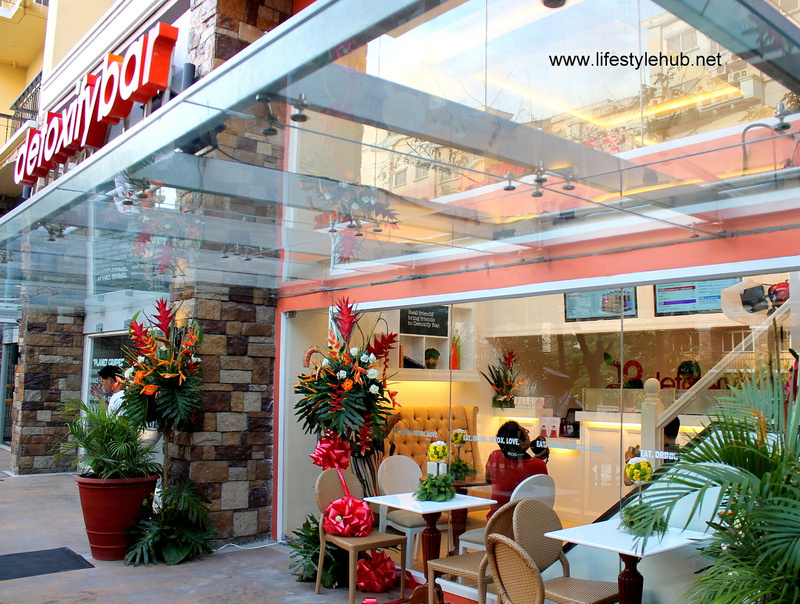 The Detoxify Bar is located at Techno Plaza 2 in Eastwood City and in Tuscany Building 2, McKinley Hill, Taguig. 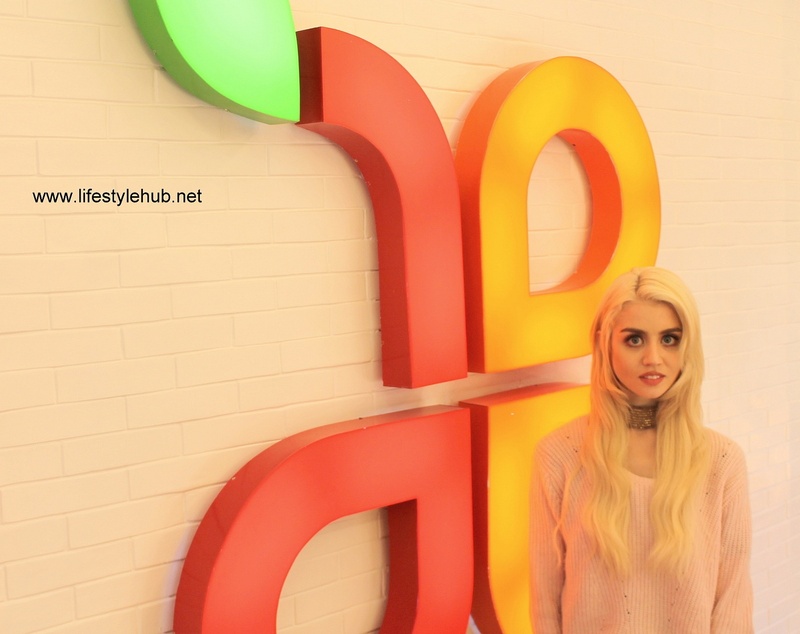 A third branch will please juice fans in Alabang soon. You can contact them at 63 (2) 942 7105 or 957 3111. For more information, you can email info@detoxifybar.com or read references and testimonials at www.detoxifybar.com. Your favorite organic juice brand has come to the south with the opening of the second Detoxify Bar at Tuscany, McKinley Hill, Taguig City. 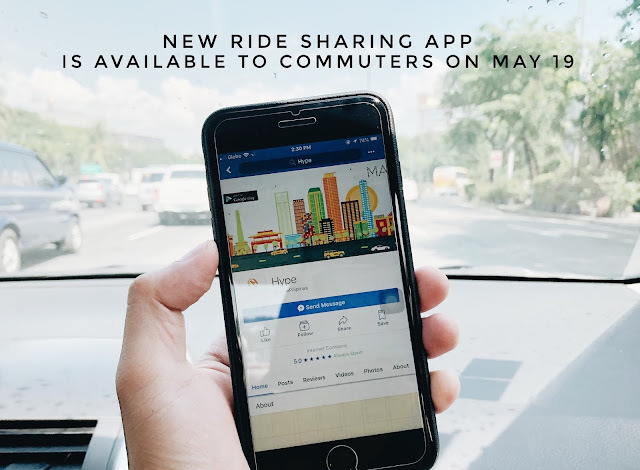 A third one is about to open soon in Alabang. Detoxify Bar's juice is not just for weight loss, athletes and those with active lifestyle consume it too as energy drink. Joy Torres welcomes Eric Tai, Andew Smith and Will Devaugn.